Here is our guide to the 6 “Must Visit” Austrian Ski Resorts for 2013. 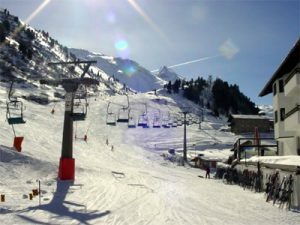 If you are looking for some healthy skiing before Christmas, then Obergurgl opens its trails in plenty of time and usually has a surprisingly good amount of snow cover to accommodate most ski and snowboarding enthusiasts. Thanks to its reputation for early snow as well as good accommodation, this is a popular resort for people who want to beat the Christmas rush. Many travel agents offer special ‘white weeks’ for those able to take advantage of an early season which is ideal if you are on a budget but still want to enjoy some fantastic winter sport. Though it can be great to join in with the hoards and hit the most popular of slopes, sometimes a free chairlift and a clear path down the trail is all you really want for a quieter and more laid back experience. Found on the Dachstien plateau, the draw of Krippensteincomes from its 30 kilometres of off-piste trails and 1,500 meter vertical that appeals to the free riding skier. 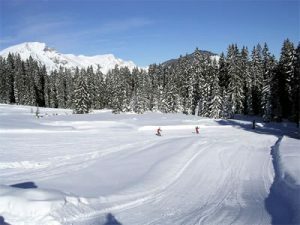 This leaves the 11 kilometres of beautiful snow covered slopes largely clear of crowds throughout the season and ready to be enjoyed. Furthermore, a Krippenstien ski pass also provides access to neighbouring resorts including Russbach, Abtenau, Gosau and Annaberg to provide variety and a fresh challenge throughout your trip. 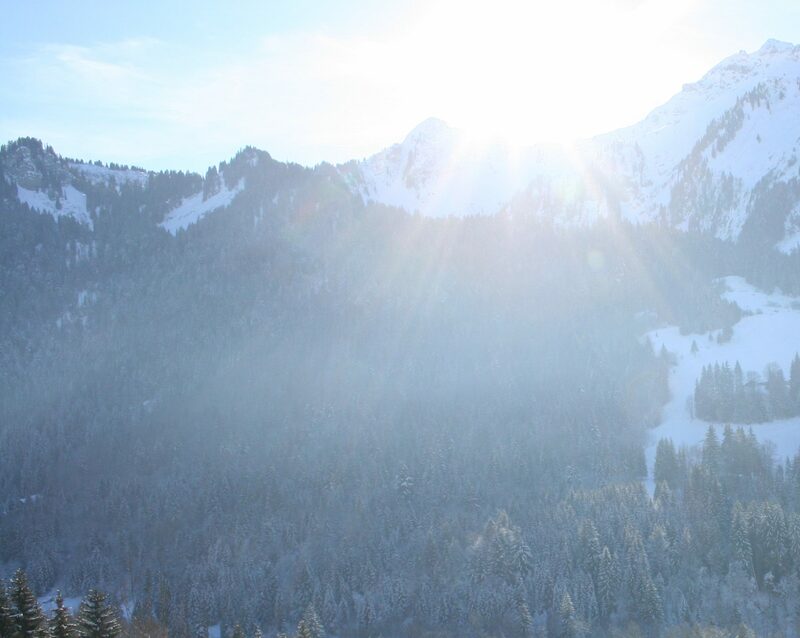 The picture perfect village of Kitzbuhel provides the ideal location for a romantic ski trip in Austria. The traditional architecture and cobblestone streets offer the ultimate picturesque backdrop for any occasion. 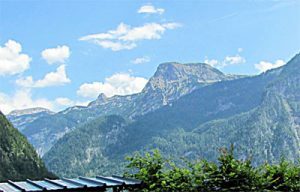 Just a gondola ride away from the centre of the town, the slopes suit skiers of all ages and are supported by cross-country tracks for the more adventurous sportsman. A range of après ski facilities support the romantic notion. Relax in the spa after a hard day on the slopes before taking off on a dreamy sleigh ride to complete the evening. With ice skating facilities and other night time entertainment available as well as a range of restaurants and bars, this could be the ideal place to get away from it all and spend some quality time together. 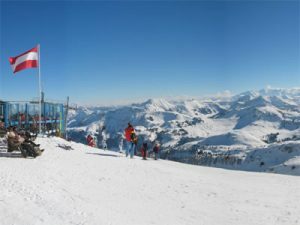 The high quality slopes in the Ziller valley entice both skiers and snowboarders alike and with 620km available within Mayrhofen, this is the largest resort in the surrounding area. Home to the Hintertux glacier, a Ziller ski pass provides access to a wide range of ski and snowboarding terrain across the entire valley which can be far flung but is well worth the trip. 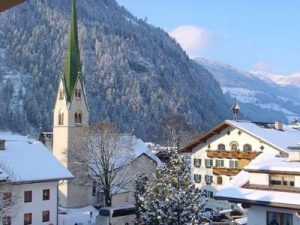 In recent years Mayrhofen has become incredibly popular with the younger generation thanks to its ‘Snowbombing’ event every April which combines a range of live music with a week long party. When you are on a tight budget but still want some good quality skiing, Soll in SkiWelt can provide everything you need. Thanks to heavy investment in recent years, the facilities have now been improved with a focus on snowmaking to improve the reliability of the overall cover. Though ski facilities are 1km away from the central town the frequent buses ensure that transport, though crowded, should not be a problem. Family facilities have made this a fantastic alternative for skiing with children while the lively nightlife ensures that this location is also perfect for the younger generation who want to have some fun. If the après ski is as important as the slopes themselves, then Ischgl can provide a party that will never stop. At the heart of the Paznuan Village, the resort boasts its own branch of Pacha as well as a Coyote Ugly bar amongst its wide and varied range of nightlife entertainment. When it is time to hit the slopes, you won’t be left wanting. Ski holidays in Austria boast some outstanding runs for both snowboarders and skiers and Ischgl offers over 330 kilometres of long high pistes that travel across the resort and some even into neighbouring Switzerland. And with an extended season due to the availability of late snow, Ischgl is a great way to combine the exhilaration of the slopes with a fantastic party atmosphere. Next PostNext Another good reason to book your ski accommodation with us!